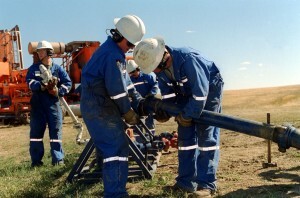 The PSAC Oilwell Perforators’ Safety Training and Advisory Committee is currently working with Natural Resources Canada – Explosives Regulatory Division (NR-CAN-ERD) on issues related to compliance with the revised Explosives Act. Some companies involved in the assembly, storage and transportation of jet perforating guns are faced with having to relocate their shop facilities in order to comply with the “Quantity/Distance” requirements set out in the Act. Industry is also going to have to perform testing to determine whether or not their existing facilities meet NR-CAN requirements. PSAC members wanting more information on this can go to the “Members Only” section on this web site and look under the minutes of the Oilwell Perforators Committee. For details of training dates and locations visit the Energy Safety Canada website by clicking here. NOTE: Prospective students will be required to produce photo identification to the instructor at the beginning of the course.